Imagine a world of darkness surrounded by rock and mud where exotic formations, streams and waterfalls, tight crawl-ways, deep canyons and pits, and huge rooms with large blocks of breakdown, crickets, bats, and rats await you. That’s what I experienced while caving in New Brunswick, Canada. I was taken into a world much different from that above ground and the potential for being trapped in complete darkness where unfamiliar things lurked brought shivers up my spine, finding its way into my top five adventure. We entered the underdeveloped and “wild” gypsum cave system in Hillsborough, White Cave, by a large sinkhole downstream from the upper sinkhole. The stream that covered the entrance floor guaranteed that I was wet and cold immediately, but the coldness quickly fled because of the warm, cave air. It was a 105 meter crawl through tight squeezes, wiggling down tunnels on my belly and my backside to reach the passage end in the South Cave, also known as the Bat Cave. The pitch darkness was what made caving so different from my other adventure sport experiences. All of the challenges of movement in a confined space were increased because I had nothing more than a headlamp or flashlight for light. The darkness consumed me and filled my mind as much as the air. Dark thoughts found their way into my brain as I worried what was around the next corner waiting in the abyss. Once we reached the Bat Cave, my friend and caving leader, Shawn, suggested we turn off our headlamps to truly experience the darkness that filled the air. Pitch black was a term with which I thought I was familiar, but I was mistaken. When our lamps went out, a fear of the unknown surrounded me. I placed my hand directly in front of my face until it touched my nose yet I still saw nothing. I wondered if blind people ever felt the same paralyzing fear of their surrounding or were the use to not knowing what was around them? Are their other senses heightened by the absence of sight? I took a deep breath and tried to focus on the noises and smells of the cave. It was a multi-sensory experience. 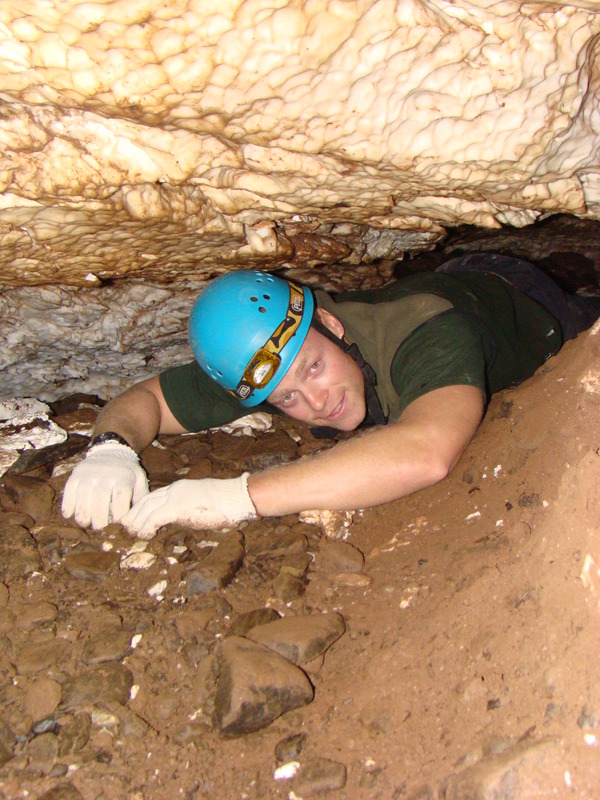 After a long hesitation, we decided to crawl out of the south cave without the use of our lamps. My fingers and hands slowly guided me along the floor of the cave as I listened to Shawn’s voice explain the curves and turns that lay ahead. Caving was an adventure worth experiencing; I was exposed to a world seldom seen and I witnessed the immense beauty and mystery of the underground. The fear of falls, hypothermia, flooding, animals, disease, and getting lost or stuck add to the sense of adventure and made caving a top five extreme adventure. This entry was posted in Adrenaline, Adventure, Canada, Land Adventure, New Brunswick, Travel, Uncategorized and tagged Adrenaline, adventure, Adventures, bucket list, Bucket List Publications, Canada, caving, culture, Lesley Carter, New Brunswick, photo, photography, Spelunking, top 5, travel by lesleycarter. Bookmark the permalink. Looks fun in one sense but ultimately I’m too chicken for that confined space stuff! I agree! Looks amazing, but I would never have the guts! No, I wouldn’t do that! Well done for having the courage to attempt it! 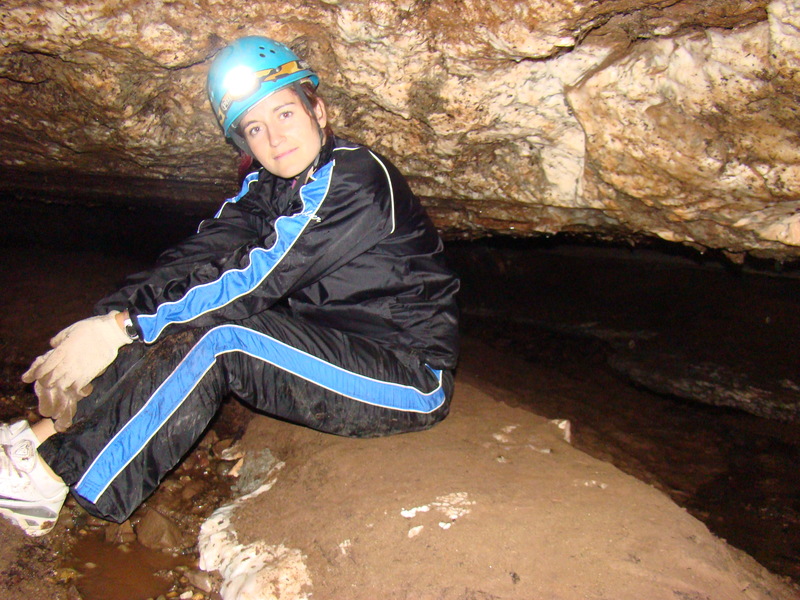 Caving is a passion of mine. I’ve crawled through 10 inch “No Name Hole” and the harrowing “Birth Canal” at Mammoth Cave, a squeeze that is so tight you have to finger crawl the whole way through on youe side. When you feel the uterine straight jacket of wet stone pressing in all around you, the urge to panic is fierce. Your hands, separated from you by an ocean of stone, seem to be miles away. You can’t even turn your head to see your hands. You let all your air out, you deflate and you pull yourself through, tasting the minute droplets of rusty water form on your lips. 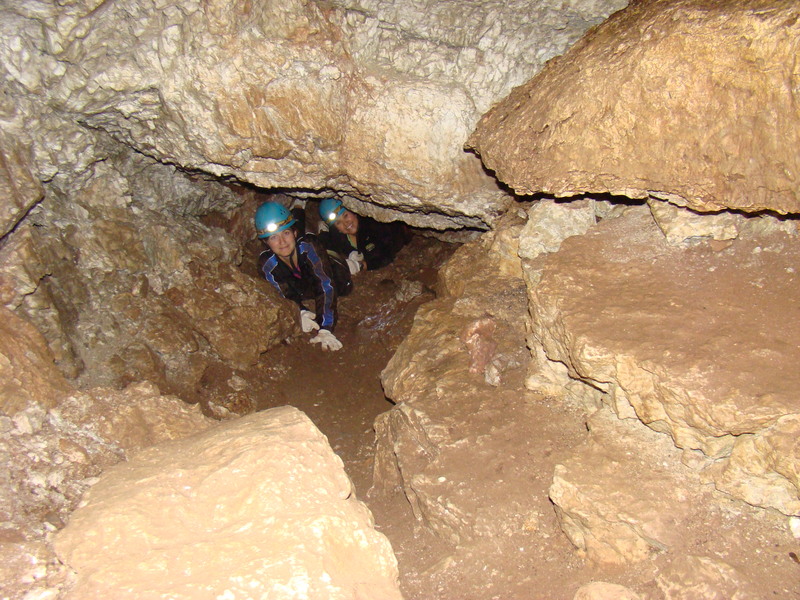 Caving is a complete sensory experience. 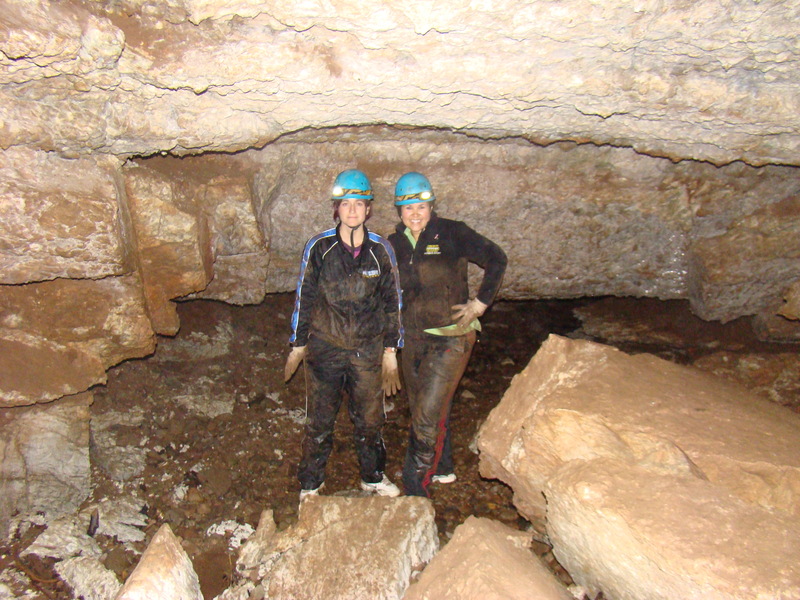 Caving is one of my day jobs! Nothing beats going underground to reboot the heart and mind, and the complete darkness (“Cave Darkness” we call it at Jenolan, or “Binoomea” in the Gundungurra language) is like the screen going blank … life’s full of all kinds of possibilities after that! The last time I went into ATM cave in Belize our guide had us turn off our headlamps and he guided us through in the dark. I agree with you…I also thought I knew what complete darkness was, but when it really is completely dark your pupils just can’t adjust. It was an amazing experience. I loved every single minute of it. Our idea of hell on earth but glad you had such a great time! Never in a lifetime. I have been in a few bat caves and other caves in my time, and never again. I nearly did peed my pants when the bats came flying by. That was enough of a thrill for me. Glad you had a good time. I have a lot of admiration for your courage and perseverance. How awesome! I have never been Spelunking/Caving, but will definitely have to find out some more about it! Love the pictures. Wow – I can’t imagine how dark dark really is! I can only imagine the adrenaline rush while the other senses are kicking in! That’s sounds so daring but really awesome. Hats off! Very cool! I’ve never gone caving but believe it’s one of those things I’d be thrilled to have done once and reluctant to ever do it again – too scary! Thanks for sharing all the feelings/sensations – great read! I’ve always wanted to do caving, but I would fear getting stuck and nobody would find me. But then, I was nervous about doing a fully closed MRI, because everyone said they get claustrophobic. Hmmmmmm….I might have to give this a try. It looks totally cool. And I want to splash in to a big pool of fresh water. I did this in the Dominican over 3 years ago and it is still one of my favorite things ever! At one point we reached a huge wall and had to swim under it to get to the other side. It was so exhilirating. I’m gonna have to do it again. Great post! The darkness, creepy crawlers and tight quarters would freak me out….LOL…..good for you for taking such an adventure! Loved your adventure…from this distance. LOL I need my wide open spaces, but it was very interesting reading about your experience. I’m sure you have inspired others to try it. Nice job! when you go in these caves, do you see bats? I am hyperventilating just thinking about those tight spaces, in the dark no less! So brave! How I can NEVER get tired or bored from reading your posts. I’m looking out for the next one to pop up in my email and just read on about all the fun adventures and become impatient for my own adventures to come. By the way, I was curious, but was that a mound of clay you were sitting on? After touching some lighter “clay” only to be told that it was bat crap, I’m not 100% sure what anything was down there. haha! Oh wow. Sounds like it was a fun guessing game with a marvelous scenery. Definitely don’t think I could do this, but admire the posts I read on it and the photos, because I can share without having to do it….THANKS!!!! Been there, done that (caving in WV), no urge to go back! 😉 Thanks for sharing! OMG…………I could never….ever…….never……….ever have done that! My husband, my self our two kids (10 & 6 at the time) got a chance last year, to experience spelunking for the first time, It was amazing and we hope to do it again, in the near future. Even our dog Rocky joined in the fun, he did good too. Thanks for sharing! You are very bold. We think we might get claustrophobic. It does look interesting. This is my goal someday. Wow, what an adventure! Thank you for posting this! 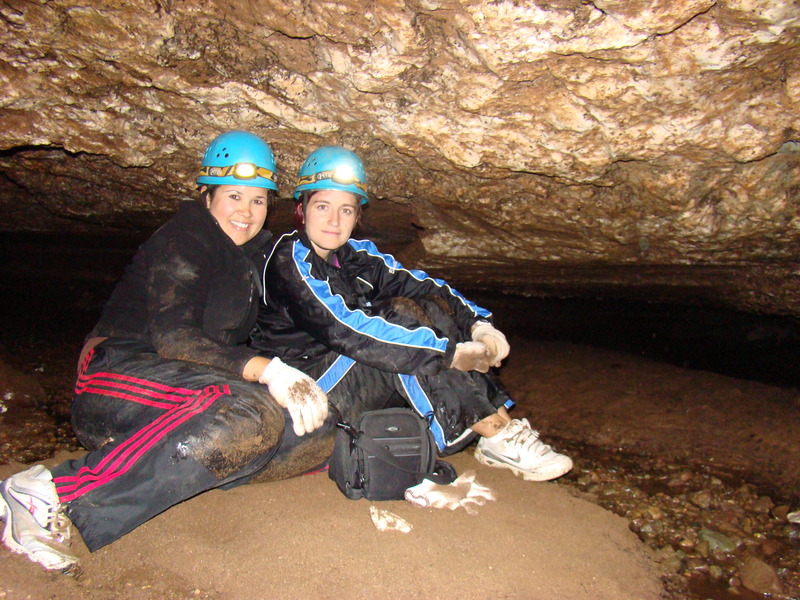 I went with my daughter on a Girl Scout Campout and the girls went caving. I could have gone with them, but was recovering from recent knee surgery and couldn’t go. I was so bummed. Someday, I’ll be going, hopefully next year! Great post! 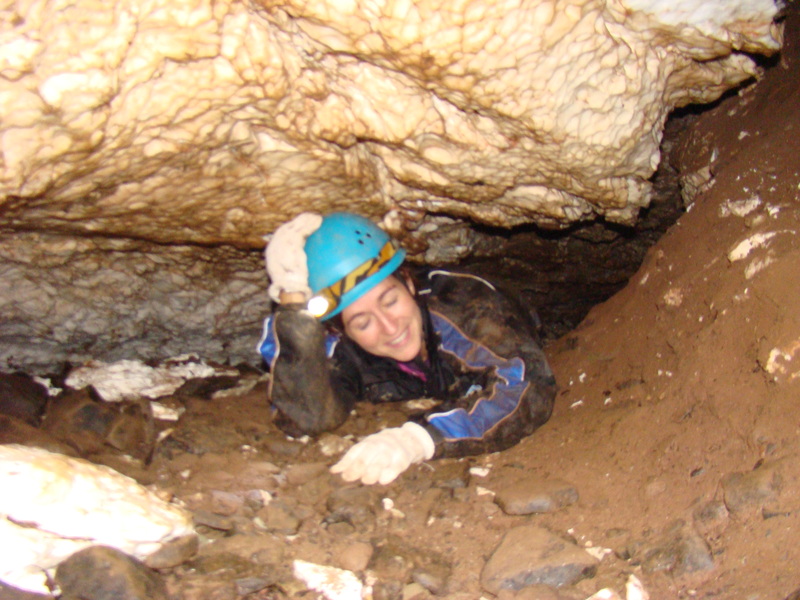 The first time I ever went caving was in school – our geology teacher used to take us on regular weekend caving expeditions down to the west of Ireland, which has some spectacular cave systems. There is nothing like the adrenaline rush you get from caving, and no darkness that can compare to the complete absence of light in the depths. I love everything about it; the smell of the earth, the way sound changes underground, and the tiny flicker of light coming from the carbide lamp on your helmet. It looks like the cave you explored was relatively dry, judging by the (comparative) lack of mud on your gear – not so in the west of Ireland – we’d come out literally caked in it. I get claustophobic just thinking about this. YIKES. Glad you enjoyed the experience! This one will NOT be added to my list! Give me heights, public speaking, tarantulas….anything but dark, enclosed spaces! Wow, that looks like it was quite the squeeze in several places! Looks like I have some new ideas for my next vacation. I grewup in a mineing town heard the miners talk about their days I am fasinated by caves but can’t even enter an M.R.I. machine, wonderful tale. I would have never survived – I hate tight spaces and have waaay too active of an imagination. I am impressed that you overcame your fears and made it through! You are so brave! Is there anything you haven’t done? You are an inspiration!! So thank you for sharing with us your brave adventures. I seriously got chills reading about the curves and small spaces. I think that would terrify me. There is no way I could climb into a hole of unknown!! Great job!! Can’y wait to read more!!! That is one of the things on my list to do. Thanks for the insight.